A Parenting Life: The bumpiest road. Ever. it could well be what the road to hell is like. Interestingly enough though, it did not lead to anything remotely like a hell. One thing I had not missed in my short time away was moving day. Which is what today just happens to be. 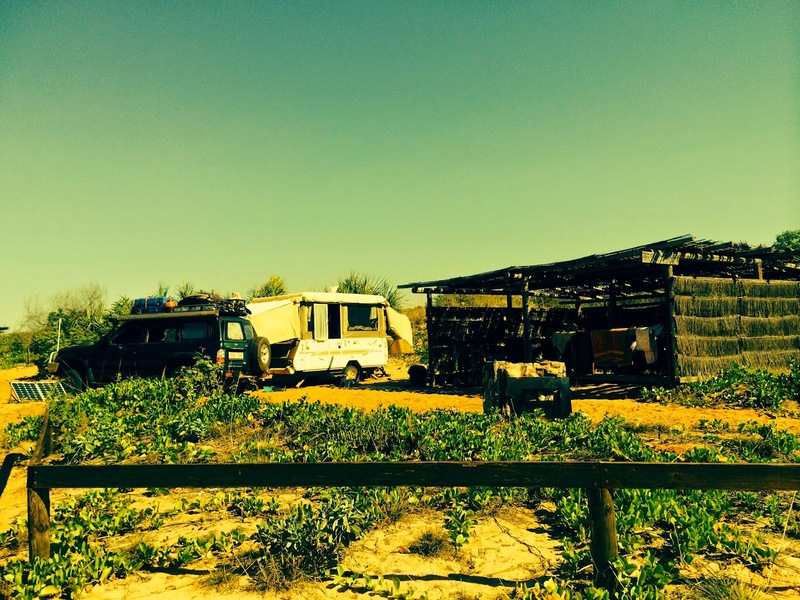 We are on our way out to Cape Leveque. A place Mr Awesome is incredibly excited to see. He has heard many a people say they want to go there and was pretty keen to join the list of people who had done so. After about an hour on the road out there I was quite happy to say that we never made it. The road would have to be one of the worst we have been on to date. Any peace or relaxation I may have built up over the past day or two were quickly shredded away within ten minutes of being on this track. Thankfully though despite my subtle suggestions at turning around we soldiered on to discover one of the most beautiful places I have ever seen. According to our road map bibles advance bookings are essential. Which posed a slight problem because naturally we had not done so. Thankfully though an hour or so before we reached our destination we found a signal strong enough to make a phone call. We had planned to stay for three days however when I heard the price of paradise I dropped it down to two. The only spaces available were in beachside shelters and it was a little over $100 per night for all of us. Which is about twice as much as what our budget allowed for. Of course as so often is the case with life you get what you pay for. So as much as we were breaking the bank it was worth every cent. Our shelter which had it’s own cold water shower and table and chairs was located about twenty meters from the beach. It was totally amazing. We were able to back old Edna in next to the shelter and use the shelter as our living space during the day. The best part of this meant there was no need to put all our awnings up as the shelter gave us all the shade we need. The was however a slight drama as we were pulling into our little camping area. We had read the signs saying that it was advisable to have pretty low tyre pressure, what we didn’t realise though was exactly how low we needed to go. Thankfully though Mr Awesome was able to jump out and let them down low enough before we got bogged in the sand completely. Feeling rather stupid for our actions we were slightly pleased to see that the same thing happened to two other people following us in.